Council housing is allocated based on need, age, income and right to live in Ireland on a long-term basis. 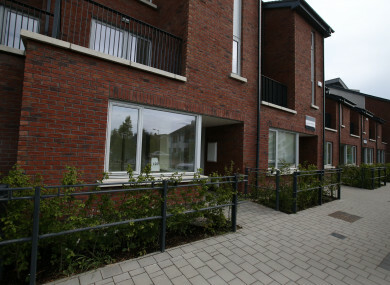 THE SOCIAL HOUSING list in Dublin city will take up to 180 years to clear, based on current statistics. Latest housing data released by Dublin City Council show that there is a current waiting list of 19,752 applicants. This does not include the 7,409 people awaiting a transfer to Dublin City Council housing lists. Last year, 850 people from the list were allocated housing. However, with the rate of people joining the list and the fact that just 25 applications have been fulfilled in over two months, Sinn Féin councillor Daithí Doolan says that the list might not be clear until 2197. There needs to be a radical step change in government policy. The government cannot sleepwalk through the housing crisis any longer. Minister Eoghan Murphy must greatly increase the housing budget from a paltry €732 million. This cut of €100 million on the 2011 budget comes at a time when we are slipping deeper and deeper into the housing crisis. That viewpoint of government inaction is largely shared by housing expert Dr Lorcan Sirr. There is no doubt that lots of effort is being out into solving this issue. At times, however, it seems there are more schemes and announcements than actual houses being provided. As long as successive governments keep relying on the private market to provide their social housing needs via schemes like HAP, PPPs and Part V, the housing waiting list will take decades to reduce significantly. This is because the government has no control over the market on which they are relying. Relying on the private market is also very expensive. Dr Sirr goes on to say that there are solutions to the Dublin housing crisis that aren’t necessarily revolutionary. “The immediate solutions are to make better use of existing housing stock, and to establish a state backed municipal house building company. This company would then design social and affordable housing and tender for private companies to build them. Asked if he foresees a change in social housing in the capital, Dr Sirr says that it will require a massive attitudinal change. Council housing is allocated according to need, age, income and right to live in Ireland on a long-term basis. A single adult earning less than €35,000 a year can apply for housing in up to three areas. This scales up to €42,000 for three adults with four or more children. The figures are accurate but the levels of need would vary. It is a big challenge but we are working hard to tackle it. Yesterday, Minister for Finance and Public Expenditure & Reform Paschal Donohoe, and Minister for Housing, Planning & Local Government Eoghan Murphy updated cabinet on the government’s capital expenditure schemes. They said that, countrywide last year, 665 new units were constructed and 1,960 units were acquired for social housing purposes. Last month, independent think tank Tasc predicted that the housing crisis is set to worsen in Ireland. Its report urges a radical change in approach from the government, and says that its Rebuilding Ireland plan is only making the housing crisis worse. Email “'It could take 180 years to clear the Dublin city housing list'”. Feedback on “'It could take 180 years to clear the Dublin city housing list'”.